The Committee was briefed by researchers of the Appropriations Committee on the financial performance of Department of Labour and its entities, and by the Auditor General of South Africa on the audit outcomes. The researchers described Department’s expenditure and variances for the year. Total expenditure had amounted to R2.37bn, which represented an under-expenditure of R73.8m against the full-year budget of R2.44bn. Reasons for under-spending included unfilled vacancies and late receipt of invoices from the Department of Public Works (DPW) for leases for office buildings, fewer than anticipated orders processed for the procurement of IT and office equipment, and delays in the payment of invoices. The late payment of invoices contravened the Public Finance Management Act and Treasury regulations, which led to negative audit opinions. It also impacted seriously on the sustainability of small suppliers, and affected local economic development. AGSA dealt with the key successes of the Department of Labour and its entities, as well as the areas of weakness where remedial action was required. It credited the Department with being proactive in identifying challenges and underlying causes, and taking corrective action. It had also vastly improved asset management processes. However, it pointed out a wide range of areas for improvement, and recommended that there should be a process of consequence management for poor and non-performers. Turning to the entities, AGSA highlighted a number of challenges facing the Compensation Fund, where the quality of the financial statements and performance report had regressed. It said the existing accounting system was not designed to provide appropriate support for revenue and benefit claim transactions, and recommended that it should reinvent its way of operating in order to dramatically improve its operations. The Unemployment Insurance Fund had maintained a clean audit outcome, but needed to tighten quality control processes relating to reporting on performance information at year end. Improvements had been noted in the Commission for Conciliation, Mediation and Arbitration’s financial management, particularly with regard to the preparation of the annual financial statements, but challenges still existed, mainly in the acquisition of lease properties and related contract management. AGSA found that Sheltered Employment Factories’ management had not taken sufficient appropriate interventions to address the shortcomings identified on the financial statements in the prior year, as well as findings on compliance. There had been a lack of consequence management, and as a result there was still a lack of senior management involvement and guidance. The National Economic Development and Labour Council (NEDLAC) management was commended for addressing the significant material findings that were raised in the financial statements in the prior year as only one area relating to irregular expenditure disclosure had been identified as a material adjustment to the financial statement. Productivity South Africa (PSA) had made further progress in reducing its net deficit, and had managed to increase its revenue from other sources, thus reducing its reliance on grants to function. The Committee commented on the need to restructure the Compensation Fund, due to the lack of accountability and poor management. Concern was expressed over the number of unfilled vacancies in the Department. Attention was drawn to excessive use of consultancies, financial control over the IT system, and the impact of budget reductions on service delivery. Disappointment was expressed over the performance of the Department in recent years. Advice was required on recommendations to amend the legislation that hindered the performance of the entities. Mr Phelelani Dlomo, Parliamentary Researcher, briefed the Committee on the financial performance of the Department of Labour. The overall allocation was R2.4 billion – R824m for transfers and subsidies, R1.6bn for operations --for the 2013/14 financial year, which represented a nominal increase of R275.7 million, or 12.9%, from R2.1 billion in 2012/13. In the first quarter, an amount of R780.6 million was projected to be spent; an amount of R630 million was spent; the reported under expenditure amounted to R150.7 million. The reasons for under-expenditure were delays in obtaining invoices from external service providers and delays in the filling of budgeted vacant positions. The National Treasury had raised an issue around this since May 2013. In the second quarter,R1.2 billion was projected to be spent; only R1.1 billion was spent; R100 million remained unspent. The reasons for under expenditure were delays in filling vacant posts, delays in obtaining invoices from external service providers, and office leases. National Treasury had raised an issue with the Department since May 2013. Mr Musa Zamisa, Researcher: Parliament briefed the Committee on the overall financial performance for 2013/14. Against the final appropriation of R2.44 billion, the final expenditure amounted to R2.37 billion (97%), representing under-expenditure R73.8 million. During the third quarter, total expenditure reached 75.8%, with compensation of employees at 73.5% and goods and services at 53.8%. Main issues were unfilled vacancies and the late receipt of invoices. By 31 March 2014, expenditure per programme was as follows: Programme 1 (Administration) 94.7%; Programme 2 (Inspection and Enforcement) 96.6%; Programme 3 (Public Employment Services) 100%; Programme 4 (Labour Policy & Industrial Relations) 98.1%. Reasons for under-spending included unfilled vacancies and late receipt of invoices from the Department of Public Works (DPW) for leases for office buildings, fewer than anticipated orders processed for the procurement of IT and office equipment, and delays in the payment of invoices. Mr Zamisa indicated the implications for non-payment of invoices within 30 days. The payment of suppliers within 30 days is a requirement of the Public Finance Management Act (PFMA) in terms of section 38 (1) (f) and Treasury Regulation section 8.2.3, which stipulates the following: An accounting officer of the department must settle all contractual obligations and pay all money owing, including intergovernmental claims, within the prescribed or agreed period; An accounting officer must ensure that all payments due to creditors are settled within 30 days from receipt of an invoice or, in the case of civil claims, from the date of settlement or court judgement. The late or non-payment of suppliers was seriously impacting on the sustainability of small, medium and micro enterprises (SMMEs), and ultimately affected local economic development. It did not assist in the fight against poverty, inequality and unemployment. Section 81 of the PFMA stipulated that the failure to comply with sections 38,39,40,41 or 42 constitutes financial misconduct and can lead to criminal offence. Disciplinary action can be taken against an accounting officer who fails to implement section 38. The Chairperson required clarity on the budget for invoices that appeared in the first quarter of a previous financial year, which were carried over into the next financial year. 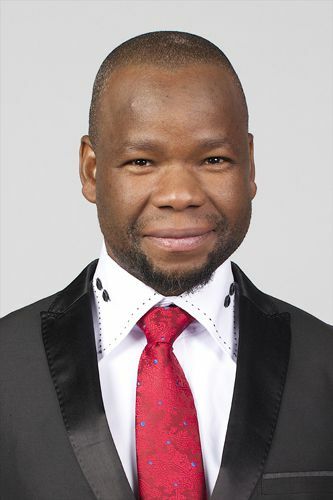 Mr Dlomo replied that in some instances, departments would pile up invoices towards the end of a financial year and may start to look at them in the third or fourth quarter in order to ensure that the money due to all suppliers was paid before the start of the new financial year. Certain problems could be picked up in those invoices, and they would be sent back to the suppliers to correct, hence those invoices would be carried over to the next financial year. The department could have other reasons for carrying over invoices to the next financial year. They could have invoices that were budgeted for in the last financial year that were unspent, resulting in an under-expenditure that could be carried over to the next financial year. It would show as spent in the first quarter of the current financial year, whereas it was expenditure that should have happened in the last financial year. The department could help clarify why they carried over invoices to the next financial year. Mr Zamisa commented that National Treasury should be present when the Committee met with the Department in order to clarify the implications for the budget on carrying over invoices to the next financial year. Mr P Moteka (EFF) welcomed the informative report and reminded the Portfolio Committee that the Committee had received reports on unfilled vacancies and delays in payments of invoices, which showed that people were not learning from past mistakes, despite the economic impact on SSME’s sustainability and unemployment. This was a contradiction of what the Government had promised as set targets, visions and mission to the people. The people working for government were going against the set target, which was serious offence. He asked what the Minister would do to the culprits, as posts were not being filled and people were unemployed. The Chairperson commented that the presenters were researchers of Parliament not researchers from the Department of Labour, so they could only inform the Committee about their findings according to the PFMA, and could not say why the Minister or Department had not been working. Mr Dlomo agreed that there was a contradiction in terms of practice. National Treasury and the Department of Performance, Monitoring and Evaluation (DPME) had undertaken interventions to enforce the issue of payment of invoices on time. However, some departments had improved while some had not. The Committee could address the issue by requesting information on payments of invoices for various financial years in order to determine the trends of improvements or regression. The Committee could request details of the vacancies for various financial years, to determine the variances and make the necessary interventions. Mr M Bagraim (DA) asked if the researchers measured performance and service delivery against the figures spent. He asked for their audit opinion on what money was spent, and how it was spent, especially the compensation funds in relation to delivery. Ms P Mantashe (ANC) commented that the researchers had suggested the Committee call the Department to account on its non-compliance with the PFMA. She asked about the role of the researcher in helping the Department to correct the identified errors. The Chairperson commented that the researchers could only advise the Department on the loopholes in their spending, as they had no power to enforce actions on the Department. National Treasury (NT) would be present, along with the Department to present, so the NT would answer the questions on non-compliance with the PFMA. The Committee and the NT alone had the power to make changes. Ms F Loliwe (ANC) asked how the Committee could help in rectifying the challenges faced on the issue of unfilled vacancies, and the capacity issue which affected the processing of invoices. Mr Dlomo replied that looking at the pattern of expenditure on invoices for goods and services and vacancies, maybe there would be a correlation between the non-payment of invoices and vacancies. The sections or units of the Department dealing with payment of invoices might have vacancies, hence the non-payments of their invoices. The vacancies were at the executive or specialist level. The Committee should establish the vacant posts when it engaged with the Department. Mr I Ollis (DA) asked what the legal responsibility of the Committee was in respect of financial misconduct by the Department. Mr Dlomo replied that while the researchers looked only at the figures, the Portfolio Committee could take drastic action to probe the performance. Mr Dlomo replied that Section 55 of the Constitution empowered the National Assembly to hold the executive to account. The researchers could only advise the Committee on their powers and functions based on the constitution and conditions passed by the Parliament. The Portfolio Committee had the role to hold the Department accountable for the late payment of invoices as a contravention of the PFMA. The Committee and Parliament pass the legislation, so in terms of the Constitution it had the power to enforce recommendations and make the Department accountable for their implementation. Through its engagement with the Department, the Committee could hold the Department accountable. The Chairperson said that the researchers were the staff of Parliament. Members had their role to play because they did oversight over the Department and hence had the right to dig for answers. The role of the Committee was clear in the constitution, in terms of the PFMA. Ms S Van Schalkwyk (ANC) asked the researchers to compare the targets versus expenditure of the previous financial year with that of this financial year. Mr Zamisa replied that the Appropriations Committee focused on the numbers. It did not have institutional memory of the programmes and projects of the Department, because it did not often present to the Standing Committee. However, the Department for Performance Monitoring and Evaluation (DPMA) should be invited, as they did evaluation reports. He advised the Committee to look into the report scheduled to be published by DPMA for this financial year in relation to the Department of Labour, or the Portfolio Committee could also request an evaluation on the performance of the Department from the DPMA. Ms Mantashe asked that the spending patterns from the previous financial year till date be explained. Mr Dlomo replied that the presentation was on 2013/14 and 2014/15 expenditures, but the researchers would work on the trends of the previous financial years and circulate them to the Committee. The Chairperson asked the researchers to clarify the trend of expenditure in the Department to date, and if there had been improvements in the under-spending trend. Mr D America (DA) commented that the researchers had tried to show a correlation between the under-spending in programme 1(administration) and the vacancies. In terms of the AG’s assessment on under-spending, which was attributed to incorrect invoicing from the Department of Public Works, why was there an over-emphasis on vacancies. Mr Dlomo replied that the under-expenditure of R73m was the overall combination of the compensation of employees, which was as the result of vacancies as indicated in the report, and the R62m for goods and services that were not paid on time, or any other activities that were happening in that economic classification. This under-expenditure was not only in Programme 1, but also in Programme 4. Programme 1 contributed the most. It was not only Public Works invoices that were involved, but several other small businesses that were serving as service providers to the Department. Mr Moteke asked for clarity on labour policy and industrial relations, where 16% of the performance target had been achieved against a 100% expenditure. Mr Dlomo said a planned target should demonstrate a correlation with the expenditure trends. The planned target programme should come closer to 100% achievement. A partially achieved target necessitates an explanation to the Committee. Programme 4 (Labor Policy and Industrial Relations) were targeting to achieve 24, but had achieved 16 (67%). 100% had been spent. What had happened to the rest of the money? It should be a concern for the Committee to question the gap in the performance target. The Appropriation Committee was no longer looking at figures only, but also married performance information with the finances. He advised the Committee to call the Department on a quarterly basis to report on its quarterly performance. The Chairperson thanked the researchers for an informative presentation on how to engage the Department. Mr Joshua Balanzi, Senior Manager, AGSA briefed the Committee on the final audit outcomes of the 2013/14 financial year. Progress on key commitments by the Minister was highlighted. No new commitments were agreed with the Minister in 2012/13. All commitments made in 2011/12 had not yet been fully addressed and had been carried over to 2013/14. Consultants’ skills transfer was to be monitored and evaluated monthly. This was achieved at all entities, except for the Department of Labour (DoL) and Sheltered Employment Factories (SEF), where it is in progress, and intervention required at the Compensation Fund (CF), as there had been no progress. Effective implementation of approved organizational structures had been achieved at all entities, except for the SEF, where it was in progress. Intervention was required at the CF, as there had been no progress. The monitoring of compliance with policies and procedures was in progress at the DoL, but intervention was required at the SEF and CF, as there had been no progress. Monitoring of bad planning, resulting in an increase in non-compliance with PFMA and Treasury regulations was in progress for the CF and SEF. There had been no noticeable progress and intervention was required. All other entities had demonstrated a reduction in non-compliance findings. The development of checks and balances to ensure the credibility of all information was still in progress at the SEF, and intervention was required at the CF and DoL. For the audit of pre-determined objectives (AOPO), there had been no progress. AGSA’s audit outcomes for the DoL identified the key successes as being proactive in identifying challenges and underlying causes, and taking corrective action. The Department had developed and implemented controls over the assets, and had vastly improved its asset management processes. There were areas that required attention. Commitments that were previously made were still in progress. The Information Technology project management was critical at the Department during the exit of the public-private partnership (PPP) partner, and the taking on of the new staff previously with the PPP partner. The audit of predetermined objectives showed that processes to collate, verify and report on the achievements of planned targets at the programme level had not yet been finalized, documented and implemented. This was a requirement of the National Treasury Framework for managing performance, to have these processes in place. Documents had not been readily available for auditors to verify reported targets achieved for the year. Reasons for variances between planned and actual achievements reported in the annual performance report were not supported by adequate and reliable corroborating evidence for targets not achieved. Performance targets were not specific in clearly identifying the nature and required level of performance, and were not measurable. The period or deadline for delivery of targets was not specified. Clear data definitions were needed so that data could be collected consistently and was easy to understand and use, and should be verifiable, meaning that it must be possible to validate the processes and systems that produced the indicators. AGSA recommended that each staff member in the department should be held accountable to deliver on their roles and responsibilities through the performance management system. There should be a process of consequence management for poor and non-performers. This should be incorporated into the 2013/14 performance reviews. The Department should ensure that for all reported achievements for the financial year, these can be easily linked the relevant documentation. Where the Department relies on information from the provincial offices for the achievements reported on, the Department should carry out verification checks to ensure that the information supplied is a true reflection. The Department needs to develop and monitor the contractual fulfilment of the PPP partner, during the exit of the service provider. The Department needs to develop policies and procedures for collating, recording and verifying the reporting on actual achievement of planned objectives, indicators and targets, from a labor centre level and ensure that it is consistently applied across all the labor centres and provincial offices. - Based on the audit outcomes, it did not identify that the necessary intervention had been made to address prior year audit qualifications on the financial statements, as well as findings on compliance and predetermined objectives. The quality of the financial statements and performance report had further regressed. - The existing accounting system was not designed to provide appropriate support over revenue and benefit claim transactions. - Action had not been taken to recover the duplicate payments and loans made in the prior year. - Mangement had not identified and disclosed any irregular and fruitless and wasteful expenditures; furthermore management did not report prior year irregular expenditure to the National Treasury which was not condoned by the relevant authority. - There was a lack of consequence management. As a result, no intervention was taken against employees who failed to meet the expected level of performance. This resulted in the recurrence of numerous findings that were reported in the prior years. - Management did not investigate and take appropriate action on allegations of financial misconduct, possible fraud and corruption, improper conduct in supply chain management, irregular and fruitless and wasteful expenditure. This created a perception that such behaviour and its results were acceptable and tolerated. AGSA recommended that the entiy should implement a business process engineering by fundamentally rethinking and reinventing the way on how to operate in order to dramatically improve the entity’s operations, specifically within revenue and benefit claims. The Commissioner should be held accountable to implement effective performance management systems which also deal with consequence management for poor and non-performers. Also, each staff member in the entity should be held accountable to deliver on their roles and responsibilities through the performance management system. Action plans to address internal and external audit findings should be measured and evaluated through the performance management system. Disciplinary action should taken against employees who committed financial misconduct, fraud and corruption, improper conduct in supply chain management, as well as irregular and fruitless and wasteful expenditure, within a reasonable time. The key success of the Unemployment Insurance Fund was that it had maintained a clean audit outcome. Quality control processes relating to reporting on performance information at year-end needed to be tightened. Material misstatements were noted on reported targets in the annual performance report, but this had subsequently been corrected by management. The key success of the audit outcome for the Commission for Conciliation, Mediation and Arbitration (CCMA) was the improvement noted in financial management, particularly with regard to the preparation of the annual financial statements. However, challenges still exist mainly in the acquisition of lease properties and related contract management. AGSA recommended that action plans developed to address internal and external audit findings should be implemented and monitored to prevent a reccurrence of matters reported. Each staff member should be held accountable to deliver on their roles and responsibilities through the performance management system. There should be a process of consequence management for poor and non-performers. This should be incorporated into the 2013/14 performance reviews. - Based on the outcomes of the audit, it identified that management had not taken sufficient appropriate interventions to address the shortcomings identified in the prior year, on the financial statements, as well as findings on compliance. - There was a lack of consequence management. As a result there was still a lack of senior management involvement and guidance within the operation of the SEF. - There were no established systems, procedures, processes to ensure efficient and effective financial management, including collecting revenue when it is due, pursuing debtors with appropriate sensitivity and rigour to ensure that amounts receivable are collected, and accurately forecasting the institution’s cash flow requirements. - There were no proper systems in place, for the submission of VAT, resulting in an overpayment of VAT to the SARS. - There was an ineffective costing system and lack of review of the manufacturing costs of the entity, resulting in some items being sold at less than the cost of manufacture. AGSA recommended that the Chief Executive Offficer, should be held accountable to implement effective systems, that allow the entity to operate effectively and ensured profitability per project. Management needs to develop, implement and constantly monitor systems over the revenue management, VAT , and the product costing to ensure profability. There should be a performance management system implemented, which also deals with consequence management for poor and non-performers. Also, each staff member in the entity should be held accountable to deliver on their roles and responsibilities through the performance management system. Action plans to address internal and external audit findings should be measured and evaluated through the performance management system. Key successes arising from the audit outcomes for the National Economic Development and Labour Council (NEDLAC) were management being commended for addressing the significant material findings that were raised on the financial statements in the prior year, as only one areas relating to irregular expenditure disclosure was identified as material adjustment to the financial statement; it received an unqualified audit opinion on usefulness and reliability of reported performance information; and it had a functioning and effective internal audit and audit committee. - Finalisation on the review and approval of NEDLAC’s founding legislation and Constitution. A review of the NEDLAC constitution had been conducted by the management committee (Manco) governance task team. This review included an assessment of the NEDLAC Constitution, the NEDLAC Act, the delegation of authority framework, and the Exco delegation to Manco. - Final steps must be taken by the executive authority against individuals implicated in the forensic report issued in 2011/12. - Finalisation and approval of the HR policies and procedures. - Appointment of new CFO must be finalised soon, with a proper handover process from the consultant to the new CFO. It was recommended that action plans to address internal and external audit findings noted from the 2013/14 financial year should be implemented and monitored to prevent re-occurrence of matters reported as regression in the audit outcomes. The executive director should take appropriate action against individuals who do not adhere to this. Compliance with the SCM policies and procedures must be monitored. In relation to the forensic investigation report, the Minister should ensure that a final decision is made by EXCO relating to individuals who were implicated in the forensic investigation report. Approval on NEDLAC’s revised founding legislation, constitution and the delegation of authority framework was required. Productivity South Africa (PSA) recorded three key successes. The entity managed to make further progress in reducing its net deficit, it managed to increase its revenue from other sources, thus reducing the reliance on grants to function, and improved its reporting on predetermined objectives -- and had improved to having no material findings in its audit report. To address challenges, the entity had appointed a financial manager to help improve its compliance with applicable laws and regulations, particularly the Preferential Procurement Policy Framework Act (PPPFA) and Treasury regulations. It had engaged in talks with the UIF to ensure that funding was obtained timeously. There were no specific recommended actions for the Minister. Mr Bagraim commented on the need to restructure the Compensation Fund, because there seemed to be no accountability and no management. He asked how it could be restructured, as there was no performance management and no precautions. This was due to lack of management, lack of accountability, financial misconduct, corruption along the line and complete reliance on consultants that were not performing. He asked about the CCMA Cape town building that had been leased for over a year without been used. Mr Balanzi replied that the manager on the audit had said there were supply chain irregularities and rigorous intricacies involving the CCMA building, which was why the Board had decided to put it on hold. Mr Ollis commented that the Department of Labour had problems with vacant posts in highly skilled positions at the SEF and CF. He added that the IT system kept failing and more money was being spent for fixing it, as there were no financial controls in place. He asked that recommendations be made on what the Portfolio Committee could do to resolve these problems. He asked how much had been wasted on IT equipment, particularly at the Compensation Fund. The budget for this year had been reduced for the inspectorate’s enforcement services. He asked for the impact on service delivery. Mr Balanzi replied that with regards to financial statements and financial management, the Department was getting there, but the problem was with the performance indicators, as lots of works needed to be put in. AGSA recommended that the performance evaluation unit within the department needed to be more hands-on, to make sure that the employees in the regions understood the reporting requirements. Root causes seen were lack of targets that were specific or measurable. They did not understand the reporting requirements of National Treasury. There was a framework called FPRM (framework for performance reporting and management) and every department used that framework to report on their performance indicators. Going forward, IT was no longer an issue, since it had come on board. The IT function had been taken away from the external service provider and put back within the Department, so the amount charged would not be much with the State Information Technology Agency (SITA). The amount spent over the years was unknown but whatever the CF had paid on IT was part of that PPP contract which had been terminated last year and extended thereafter. The IT functionality was still being handled by the Department of Labour. If the budget was reduced, then service delivery could be affected. National Treasury was in a process of cost containment, so if money was not used over the years, then it would be cut back. Mr Moteka expressed concern about the performance since 2008. The Department had disclaimed findings in the current financial year which could be due to lack of accountability. He asked what AGSA had done to remedy the problems, and what role the Committee could play. Mr Balanzi said the Department still had areas for improvement in respect of performance information and non-compliance with rules and regulations. AGSA often reported with recommendations to executive authorities and senior managers. It helped to improve on audit outcomes through their visibility and interactions. Ms Mantashe asked that the Committee be advised on the recommended amendments to legislation that was found to be hindering the performance of the entities. Mr Balanzi agreed that sometimes the recommendation for an amendment may be more of a governance issue that needed to be sorted out between accounting authorities and management. Sometimes it was due to politics at the entities. AGSA had not studied to see what needed to be changed. The Chairperson thanked the AGSA delegates for the information which would be used to engage the Department.